First Fruits was started by Reston Bible Church over 25 years ago. 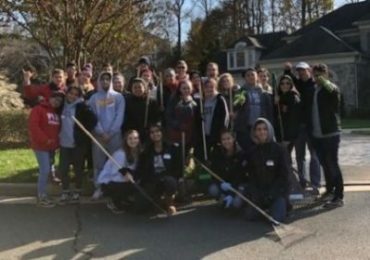 Teams of youth and adults do work for people in Northern Virginia who give toward the project. The Teams use the money raised to buy groceries and other grocery-type supplies for people within the local community. Each team delivers the groceries and gift cards to the family that evening. Excess funds are used to help others beyond that night. Over the past three years this has included RBC helping 18 students to realize their dream of going to college by awarding Perseverance Scholarships at five local high schools.